VIRO-FLOW, ICIQ’s first industrial ITN (H2020 Innovative Training Network), held its kick-off meeting on May 22nd and 23rd at ICIQ premises. 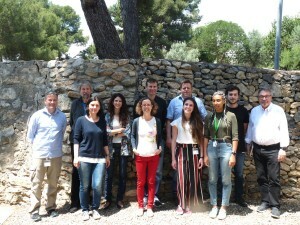 The project, a partnership between ICIQ and the German pharmaceutical company AiCuris, obtained €750k to train early-stage researchers and advance the integration of continuous flow chemistry with in vitro microfluidic bioassay technologies for the discovery of novel drugs for treatment and cure of HBV (Hepatitis B Virus ) infections. The kick-off of meeting included representatives from both institutions. Prof. Miquel A. Pericàs, ICIQ Director and Group Leader, as the project’s coordinator; Dr. Helmut Buschmann, Head of Chemistry and Patents in AiCuris, acting scientific manager and supervisor of Viro-Flow and the project’s mentors, Dr. Esther Alza (ICIQ), Dr. Tomas Goldner (Ai Curis), Dr. Alastair Donald (AiCuris) and Dr. Andreas Urban (AiCuris). 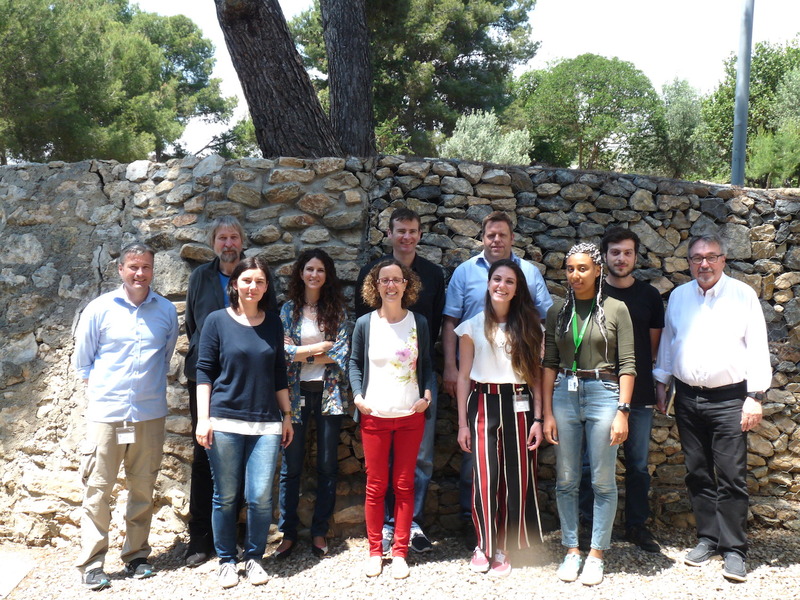 Dr. Anna Banet, the project’s manager and the three PhD students that will carry out their doctorate within Viro-Flow participated in the meeting as well. 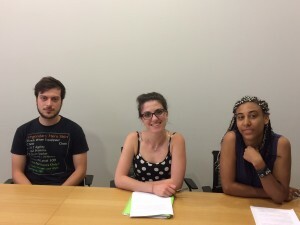 L-R: Tamás, Elena and Justine, Viro-Flow’s PhD students. Justine Raymond, Elena Detta and Tamás Vernes are the three students carrying out their European Industrial Doctorate within the Viro-Flow project. They are expected to accomplish their doctorate in three years, spending half the time at ICIQ and the remaining at AiCuris laboratories. “I chose this doctorate programme because it specializes in medicinal chemistry. It also has the added value of being connected to sustainability and ethical issues. I also valued the transferable skills the programme offers” says Justine, who started her doctorate in ERTFLOW‘s lab at ICIQ. ITNs aim to foster scientific excellence and innovation, as well as skills like creativity and entrepreneurship. “I like hybrid research and I like the idea of working in an industry, specially in the field of drug discovery. I think this kind of doctorate will provide me more opportunities in the future” assures Tamás, who is now at AiCuris. “For me being in this project is a personal challenge. It will help me to figure out my career choices in the future. It’s also a way to be inspired, discover what I really like, and meet people!” adds Elena, who es also doing research at AiCuris before moving to ICIQ. Dr. Eloísa Serrano successfully defended her Thesis. Congratulations!